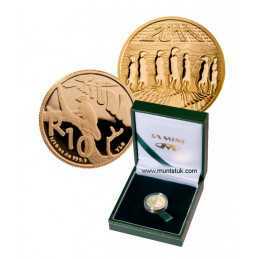 Over 100 Years of South Africa coin info and specifications available here online. Please feel free to comment on our site. We welcome your feedback and comments. We have a passion for coin collecting. Doing research on coins ? Please feel free to browse our site, again and again. Spread the word, if we are doing a good job - if not let us know ! Please recommend us to your friends and family. Bookmark us...so that you don't loose us. Support our advertisers, we refer to them as our competitors ;) Click on the banners and links to check them out. We love to social, please share us on Facebook, Twitter, Digg, Reddit, Google, Yahoo. Don't know heads from tails - check out the Anatomy of a Coin. Connect with us - we don't bite. Do you think that you have a rare/scarce coin ? Look at the Rare/Scarce Coin list. Looking for a check list of South Africa Coins ? Look no further, we have it free of charge and you are welcome to download it. Do you want to know more about different Bullion specs ? 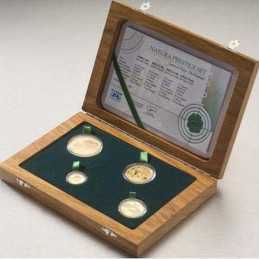 check out our Gold Bullion specification table. We have a list of all the World Coin Site links - check it out under our links section. Coin Grading explained - look no further. Please, Like us on FB ! Click on any button on our site to show your support. 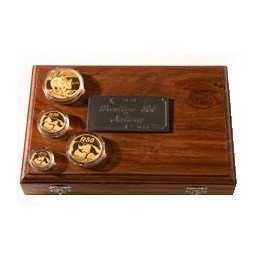 Prestige Mintage: 800 The Natura Prestige Set consists of four 24 carat gold coins (1 oz, 1/2 oz, 1/4 oz and 1/10 oz) packaged together in a box made from either “Kiaat”or “Imbuya” wood. 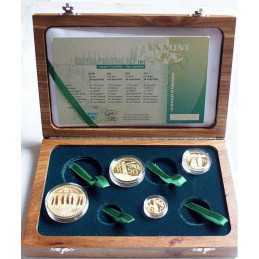 In addition each set has a plaque featuring the name “Natura Prestige Set” as well as the year “2008” and the individual number of the set. 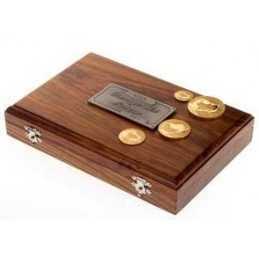 Limited Edition: 1000 The Natura Prestige Set consists of four 24 carat gold coins (1 oz, 1/2 oz, 1/4 oz and 1/10 oz) packaged together in a box made from either “Kiaat”or “Imbuya” wood. In addition each set has a plaque featuring the name “Natura Prestige Set” as well as the year “2009” and the individual number of the set. 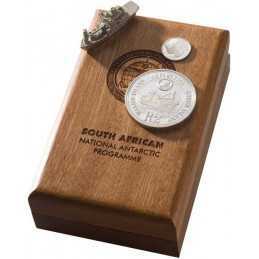 This Combination Set consists of the sterling silver 2½ c (Tickey) and R2 (Crown) coins, which are packaged together in a wooden box with a silver miniature of South Africa’s Antarctic supply and oceanographic research vessel, the SA Agulhas. The wood from which the box is made is an indigenous South African wood called “African Rosewood”. 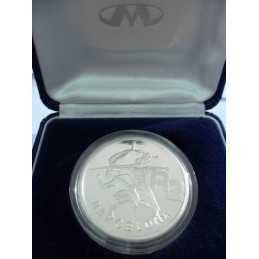 2009 Natura: Safari through South Africa The White Rhinoceros Proof 1/10 oz 24 carat Gold coin. 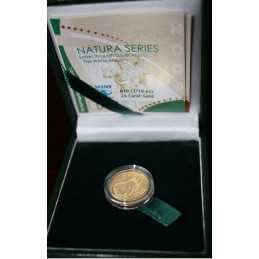 2011 Natura: Natures Families The Meerkat Proof 1/10 oz 24 carat Gold coin. 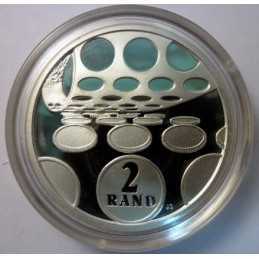 1992, Silver Proof R2 - Coin Technology This coin won an international design award. 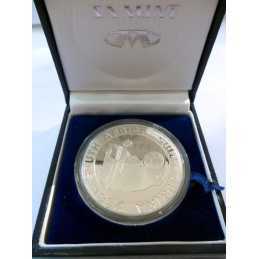 Our website offers a large selection of Coins, Collectables, Banknotes, Foreign Coins, Tokens, Medals and Medallions. 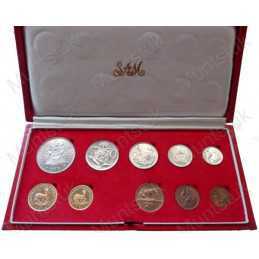 Countrywide door-to-door courier services for delivery of coins are available on request. We buy and sell Krugerrands. If you are looking for quality coins (Proof, UNC or circulated), you have come to the right place. Shop with peace of mind and know that quality comes standard. We cut out the middleman and deal direct with recognized suppliers and collectors for only best quality and the lowest prices that you deserve. We are proud to be associated with dealers, investors and people with an interest in Numismatics, and with their help build a partnership that will last years to come. 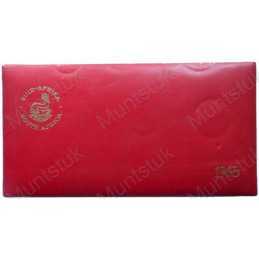 You are welcome to browse the content of www.muntstuk.com, again and again. The content should not be copied, reproduced, republished, posted or distributed in any way. Unauthorized use of the content of this website is strictly prohibited and seen in direct violation of the copyright, trademarks laws. Legal action will be taken against any perpetrators.